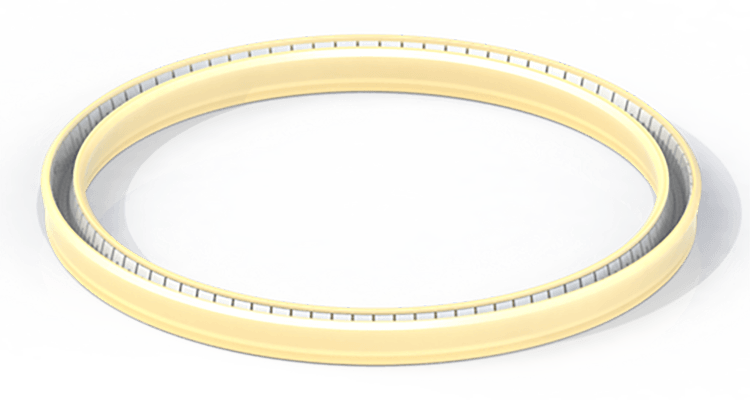 Cantilever Spring Seal - Eclipse Engineering, Inc.
Eclipse Cantilever Spring Seals make use of a V shaped spring embedded in a polymer jacket. At installation, the V shape of the spring is compressed, providing sealing energy to the seal jacket ensuring a positive seal. With a linear load curve and excellent deflection range, Eclipse Cantilever Spring Seals are a very versatile product. They are common replacements when rubber u-cups fail due to chemical attack, extreme temperature range, friction concerns and wear issues. Cantilever Spring Seals are best suited for reciprocating applications such as shocks, hydraulic cylinders, pumps and compressors. The shape of the spring concentrates load on the front of the seal, which makes this design also suitable for use as environmental excluders and for applications requiring scraping of viscous media. As an additional option, the spring cavity area can be filled with silicone for FDA clean-in-place applications.